Homeowners or businesses in Central Florida are always finding dead animals around there property. Did you know, you are at risk to odors, stains, disease, contamination, and even future pest infestation when dead animals are left unattended or ignored. Central Florida is known for its insects. Thus, insects such as flies, worms, maggots, and beetles feed off animal carcasses. Living in this part of the state of Florida, the local residents understand how important removing dead animals is. Not removing dead animal remains can cause issues for a property owner. This will create a building which is unusable for prolonged periods of time. Why? Well, it’s due to the bacteria and mold that is polluting the air. Poor air quality might cause potential illness in humans and pets. For businesses, this is a liability which may lead to lawsuits. If you discover a dead animal, don’t touch it! Our dead animal removal experts know exactly how to handle the carcass to prevent the spread of disease and parasites. We will safely dispose of the animal and deodorize the scent. Further, we will eliminate the risk of possible pest infestations that can accompany this issue and restore any damaged property if requested. Contact Affordable Wildlife Removal and ask us about the Dead Animal Removal. We regularly do dead animal removals in and around Central Florida. Every now and again Central Florida Residents have asked us these questions about dead animals and road kill. Enjoy reading our answers. Will my Local Municipality in my City or County Pick Up Dead Animals from my Property? Your local municipal government is not required to pick up dead animals that are located on private property. This is solely the homeowners or business property owners responsibility. If you come across a dead animal in the road in front of your house or place of business, in a park, or on other public property – call the city or county. They will ask for the precise location of the dead animal. Central Florida governmental entities will send out animal control to pick it up. Do you charge for your dead animal removal services? Yes, Affordable Wildlife Removal does charge a fee to remove the animal remains from your private property. 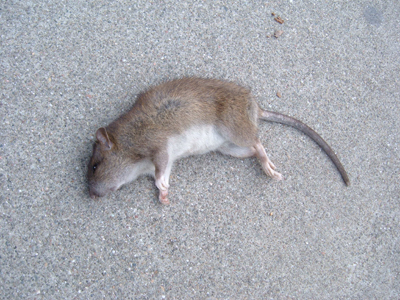 The dead animal removal services that we offer are paid services by the homeowner, landlord, or business property owner. If the dead animal is on your private property, give us a call today! Can I Keep a Dead Animal? Why? Why on earth would you feel the urge to keep a dead animal? Are you a necromancer – can you bring things back from the dead? In most cases, we run into people without that magical ability. But if you have it, we want to meet you! Honestly, you probably wouldn’t want to keep any dead animals that you find. A dead skunk, dead raccoon, dead alligator, dead turtle, dead squirrel, dead opossum, dead coyote, dead bird of prey, or any other dead critter probably doesn’t have much financial or sentimental value. I guess, there are some people that might want to keep a dead animal they come across for whatever reason. For the most part, you can keep a dead animal if you choose to, but there are laws, rules, and exceptions. Be mindful that there are special rules and exceptions apply to endangered species. For more information, we recommend contacting the Fish and Wildlife Commission to check if it’s legal to do. Why Do So Many Animals Get Killed on Roads? Motorists. Cars don’t kill animals the motorists do. You need to look at it from the animal’s perspective. An animal doesn’t understand roadway laws that we (humans) created. Further, there are no animal road safety programs offered by any law enforcement agency. Why? First off, animals don’t speak English or Spanish (or etc.). Secondly, they don’t do sign language either. Lastly, nor do they communicate with Morse Code with their eyelids and that’s the problem. The State of Florida, Local City Governments, and of course the County Governments, don’t bother to educate animals. We need free community tax-funded programs that address the dangers of running across the road. They need to educate animals that it is different from running in a field or forest. Wild animals aren’t used to fast driving motorists along roadways in our local communities. If you have an issue with this too, we recommend writing your congressman.